She opens the castle gates, mounts her daring steed, and rides off through fields of flowers to face the dragon! 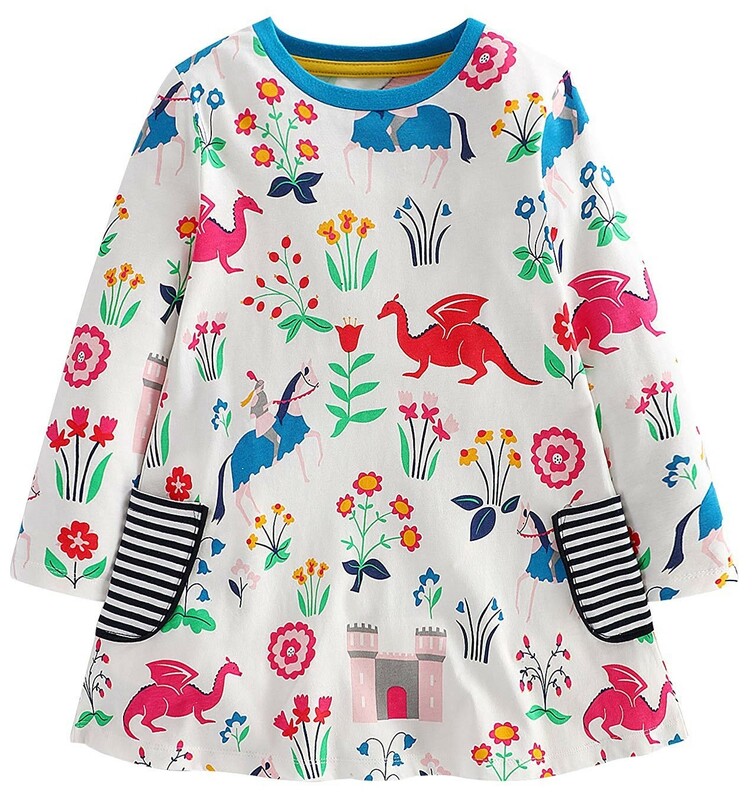 This colorful cotton play dress from Fiream features a vibrant print inspired by fantasy and fairy tales, but puts the girl in the lead. It even includes two striped pockets to carry all her treasures! 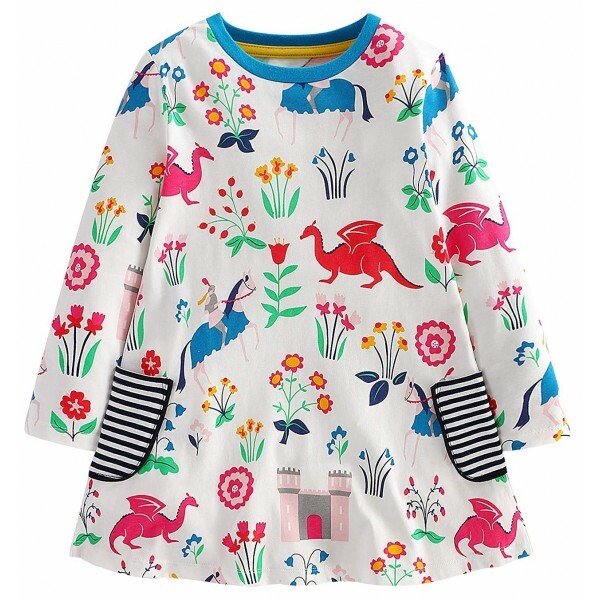 This dress is available in toddler sizes 2T, 3T, 4T, and 5T, and girls' sizes 6-7 years, 7-8 years, and 9-10 years.